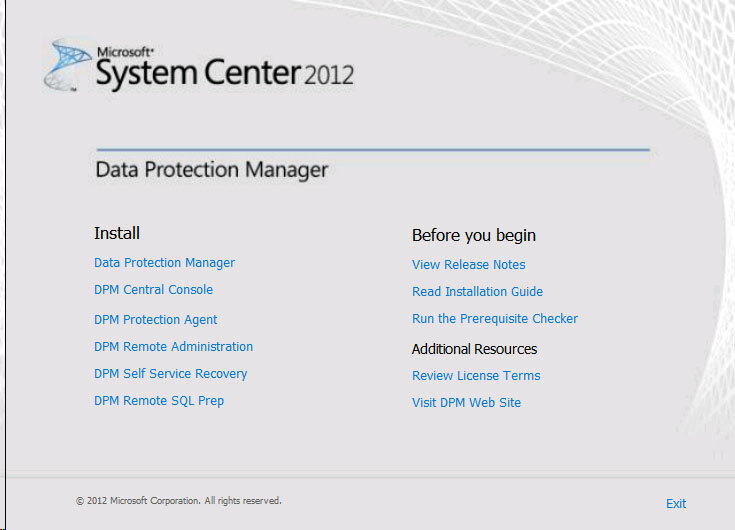 Here are the steps I took in upgrading System Center DPM 2010 to System Center DPM 2012. I have tried to keep it as simple as possible with nice pictures to make the process easy to follow. Once this was installed I then updated the agent on all protected computers. 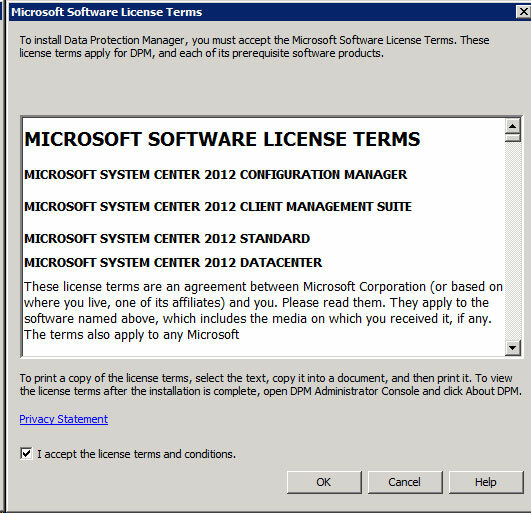 I then downloaded the ISO image from our Microsoft Volume licencing Portal. I mounted the ISO on a pc on the network and shared this out. 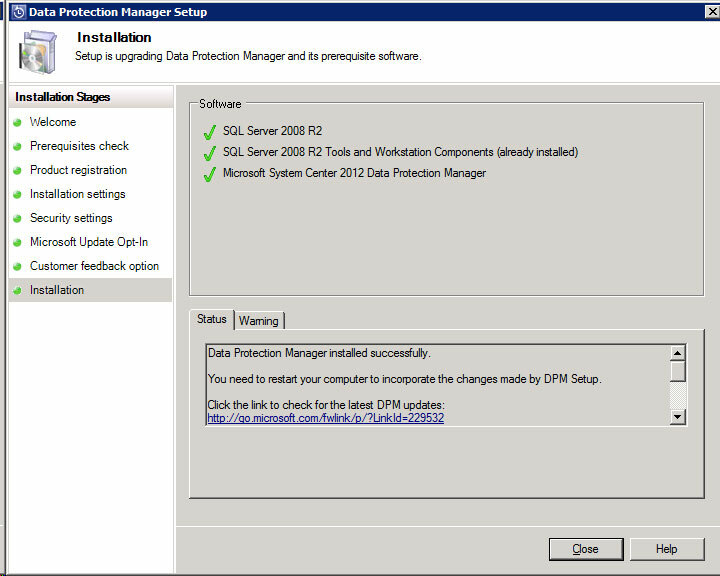 I selected the Data Protection Manager option. Read through the nice Welcome Screen and click Next. 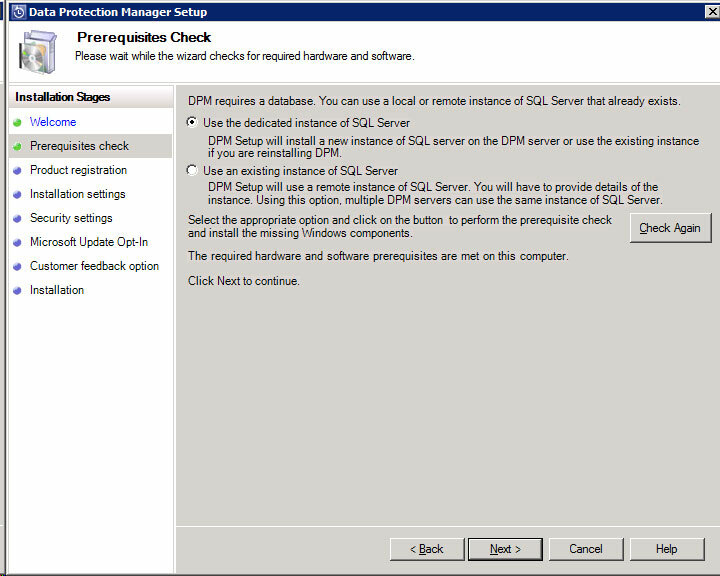 I here selected to “Use the dedicated instance of SQL Server” and clicked the Check button. Once the prerequisites are checked click Next. Type in your License Key – I did have a bit of a head scratcher here because I copied and pasted it from our Volume Licensing Portal and it didn’t work until I actually typed it in manually. This just shows you the install paths and disk space usage. 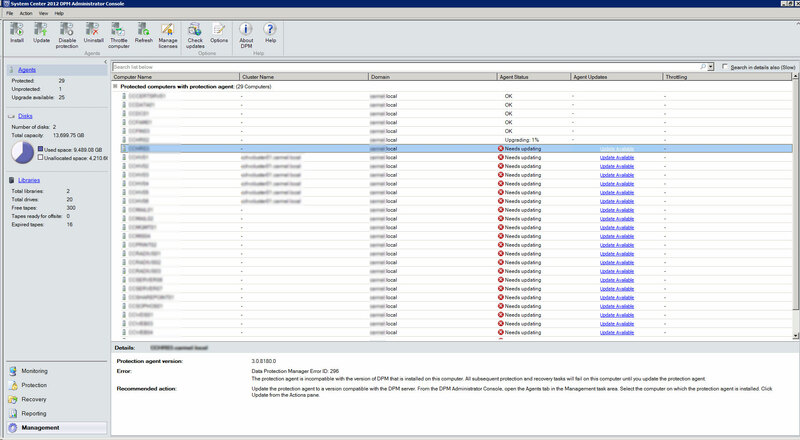 Just ensure the paths are the same as your DPM 2010 paths if you set different paths. 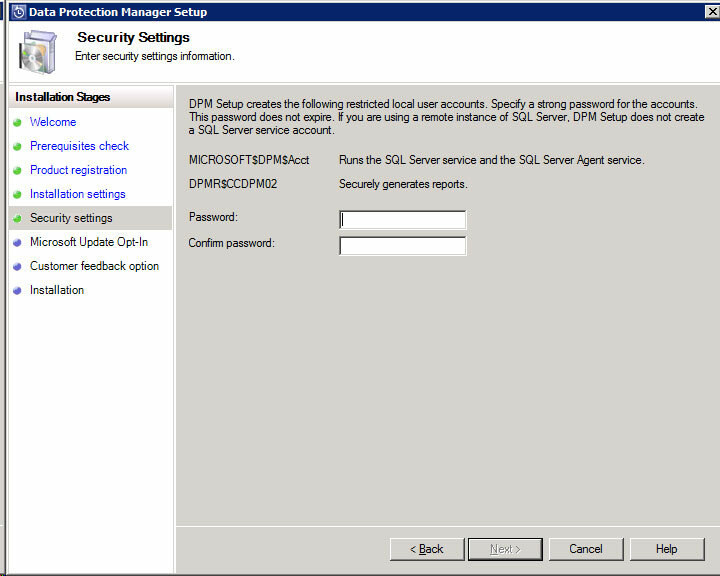 Enter a secure and strong password here for your DPM local user accounts. 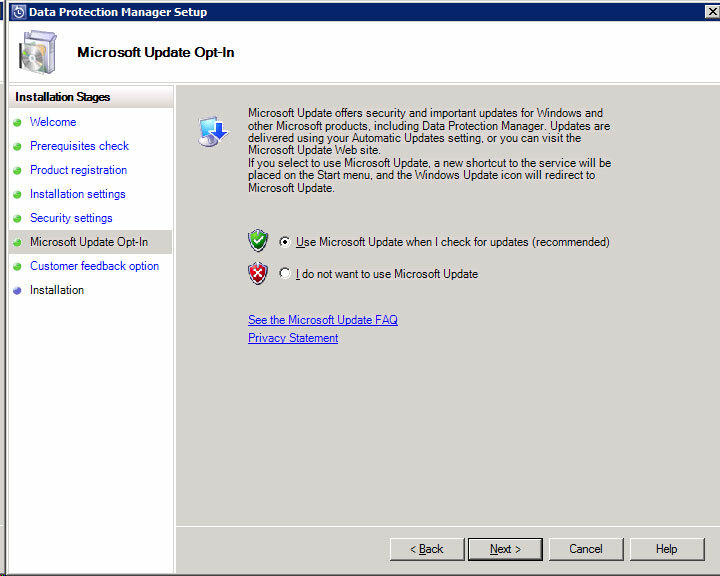 Set your update policy here, I selected Use Microsoft Update as recommended. 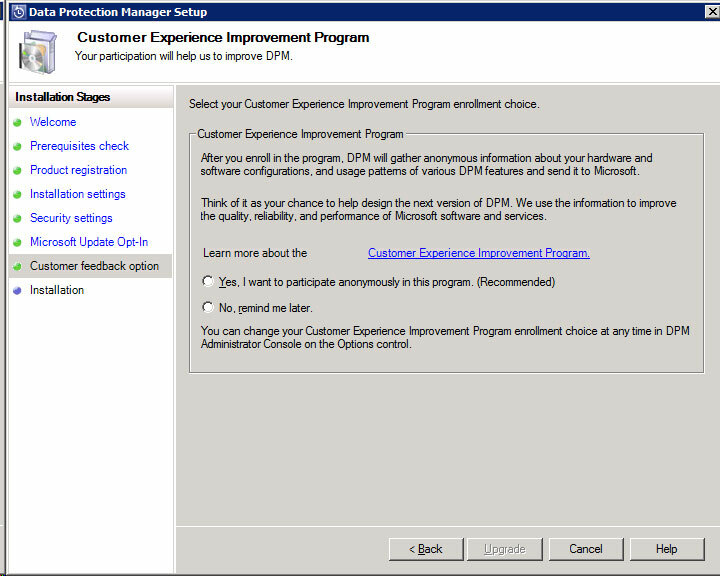 Choose here whether or not you want to participate in the Customer Experience Improvement Program, anonymously. Once this is selected you will then get the “Upgrade” button. This will then kick off the Installation process proper. Once this completes you will get the Success Page. It now states that the upgrade is complete pending a reboot. It also points the way to the update site. This will then give you access to the nice new Admin Console. I first checked out the Management Tab to see that my servers needed the Agent Updated, just click the link and the update is applied. You will get a warning to say any backup jobs will fail but then as you have upgraded all sources are in an inconsistent state anyway. 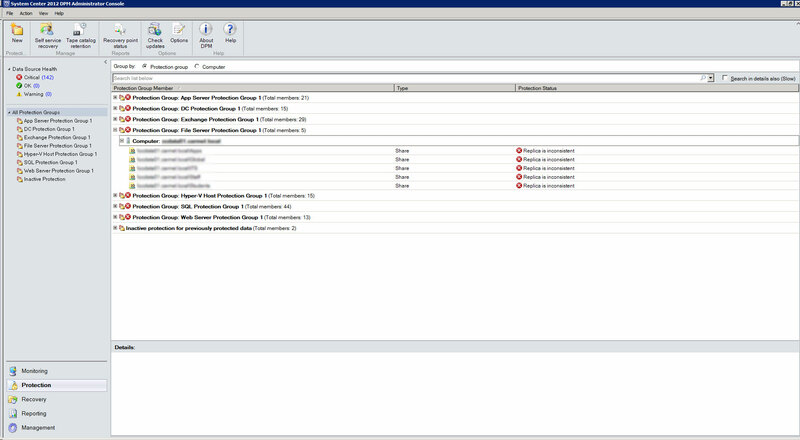 As you can see in the Protection Tab, all Replicas for Protected Members are inconsistent. You can now right-click on the Protection Group and carry out a consistency check on all members of that group. Using the Monitoring Tab you can view all jobs in progress and see the Consistency Check run through. 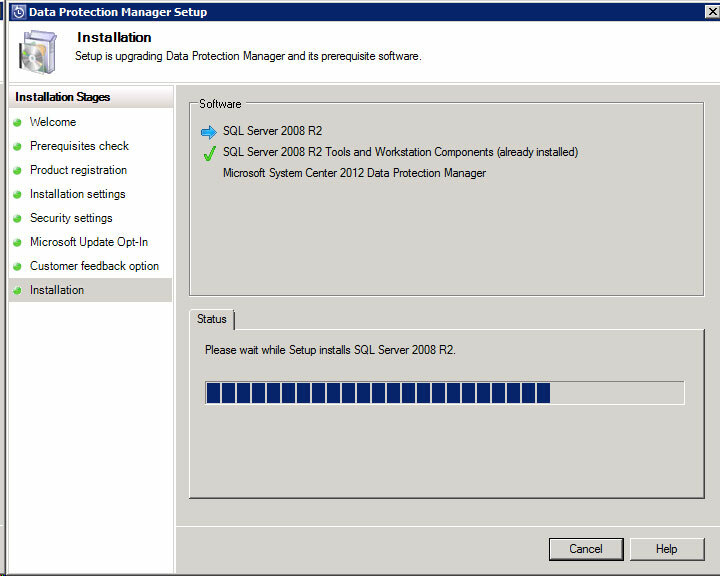 Once this is done you will see your replica protection status change to “OK”. It is now just a matter of patience, you can perform consistency checks on all your Protection Groups. You will need to wait for a recovery point to be passed and all should be well. 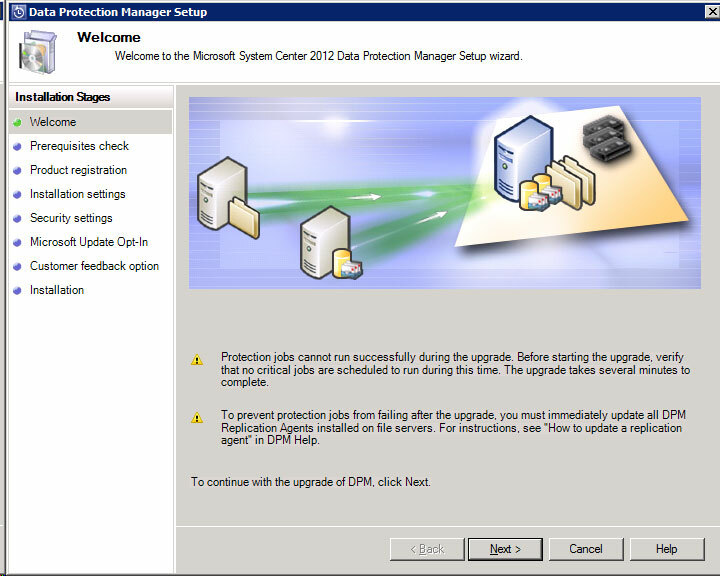 This upgrade to System Center DPM 2012 was relatively straightforward, it once again shows the improvements Microsoft are making with their System Center products. The upgrade took just a few hours to complete from start to finish and as this is, at the end of the day, your backup server it can be done at any time. 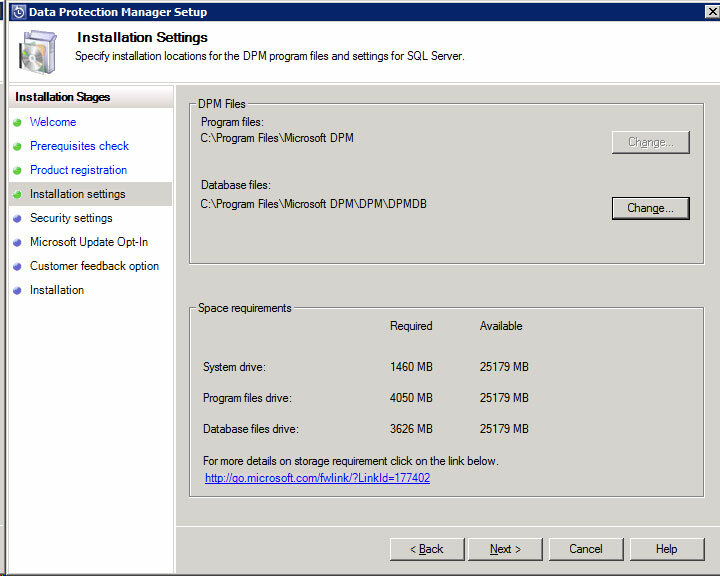 Next step is to upgrade VMM 2010 to VMM 2012. Hope this helps some of you, feel free to leave a comment on your experience. Did you also have problems with the Tape Report afterwards ? Not showing all the tapes with the proper ExpiryDate ? 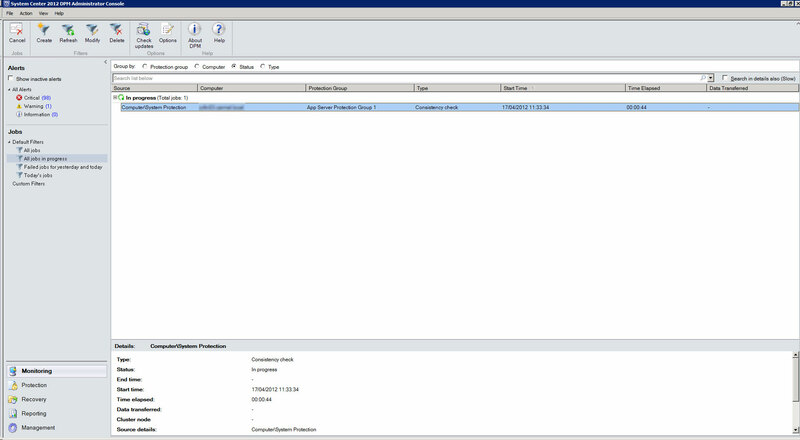 We also had the problem that although Co-Location was activated in 2010, it was gone after the upgrade to 2012. Hi Chaib, thanks for the reply. We do not use Tapes here – all Disk-to-Disk. However….did you go to the Management, Library and Inventory your tape library? Don’t know about the co-location problem either.